There has been an increasing amount of media relating to the Zika Virus and the possible effects on pregnant women. So, what is Zika virus and should Australian pregnant women be concerned? Zika is a part of the family of viruses that include yellow fever and dengue fever. Currently, there is no vaccine to prevent Zika, but laboratories around the world are working on producing one. The Zika virus is spread when the Aedes mosquito bites a person with an active infection and then bites other people. Currently, there are 24 countries that have been identified as having the Zika virus, most of which are within Central and South America. While people from countries not know to have the virus have been infected, all were returning travellers from an infected area. There is currently no report of the virus being spread in Australia. So, why the concern for pregnant women? It is thought that the Zika virus can be transmitted from a pregnant mother to her foetus during pregnancy or around the time of birth. There has also been reports of congenital microcephaly in babies whose mothers were infected with Zika virus while pregnant, a condition that results in babies being born with abnormally small heads. While several of these infants with microcephaly had Zika virus infections, studies are under way to investigate the exact association between the virus and this neurological disorder, including the role of other contributory factors. So what are the symptoms of Zika virus and how long does it last? Once a person is infected, the incubation period the virus is approximately 3-12 days. Symptoms are non-specific but may include fever, rash, arthralgias, and conjunctivitis. It appears that only about 1 in 5 infected individuals will exhibit these symptoms, and most will have mild symptoms. Zika virus usually remains in the blood of an infected person for about a week. The virus will not cause infections in a baby that is conceived after the virus is cleared from the blood. While more research is being undertaken, the Centres for Disease Control and Protection (CDC) in America recommends special precautions for pregnant women and women trying to become pregnant. Avoiding exposure is the best precaution, so pregnant women should avoid or delay travel to areas where Zika outbreaks are known. Women considering pregnancy in the near future should discuss their travel plans with their obstetrician. 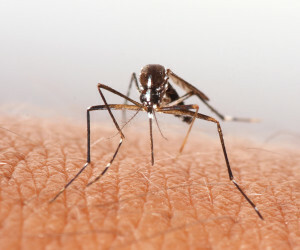 Other precautions include taking action to best avoid mosquito bites – use an approved mosquito repellant with DEET, cover exposed body parts and wear long sleeves and pants, remain indoors with fly screens or air-conditioning. These precautions should be taken all day, not only at dawn or dusk. If you are pregnant, or trying to conceive, and have recently travelled to any of the countries where Zika has been reported, you should discuss any concerns with your obstetrician.